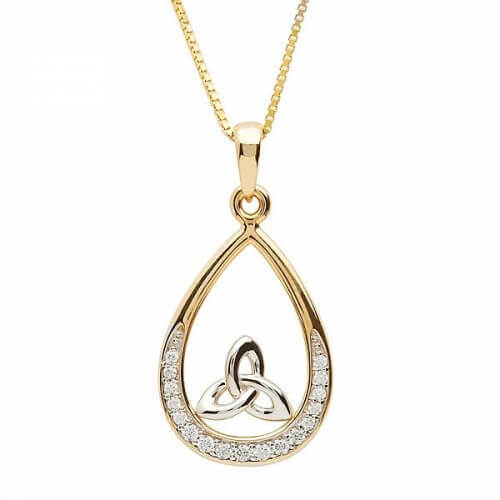 The stone set Trinity necklace is shaped into a teardrop, the bottom is lined with white sparkling cubic zirconia. 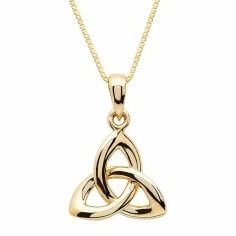 A white gold Trinity knot design sits in the center. 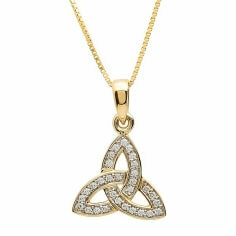 All are supported by the 18 inch gold chain. 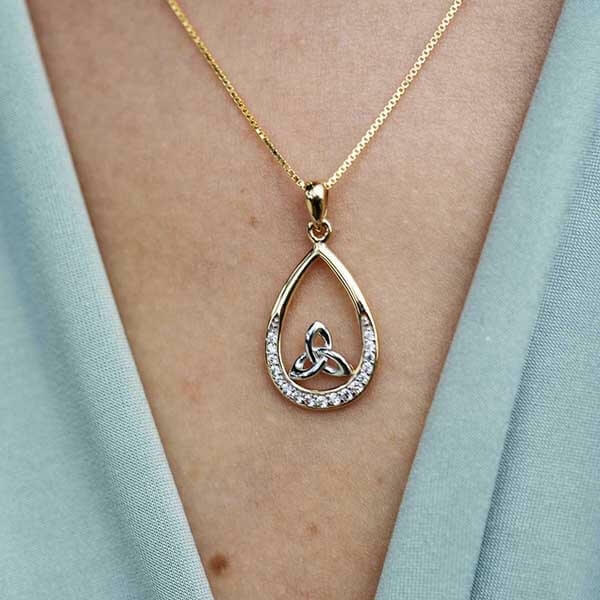 Handcrafted in Ireland by seasoned artisans before being tested and hallmarked by the Dublin Assay Office.